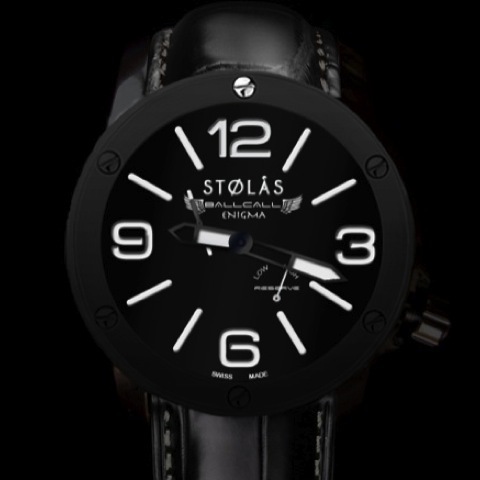 Naviator Enigma - Power Reserve - STØLÅS Watch Co.
Click the button below to add the Naviator Enigma - Power Reserve to your wish list. Signature Editions designs push the envelope. The Octane features a one-of-a-kind metal dial and engraved to with afterbunners to ilustrate teh awesome power of a turbine engine. With a bold attitude and applied Blued markers and Blued Hands, sapphire case back and a superior engine to match, the Signature series will satisfy the most demanding aviator. Pre-Order priceing will increase at regular monthly intervals so dont delay and get your new Naviator ordered now and Call The Ball! All STØLÅS Naviators™ carry a two year limited warranty. Please view the "Watch Manuals" page to view the full warranty. the name says it all. the perfect watch, period.